Candid Conversations About Running & Growing A Small Business. That was the invitation I sent out to our business coaching clients about 5 years ago. I legitimately had no idea what I was doing… I just believed that, if I got as many of them as possible in a room together, they could help each other in ways we couldn’t yet imagine. Some drove to my tiny little town on the Oregon coast. Some flew into Portland and made their way two hours west. As they arrived, I knew we were doing the right thing. There was nothing fancy about that first retreat (or most of the ones that came after it). We sat at Ikea desks and we ate pizza from the local pub. We used giant post-it notes and scribbled on whiteboards. There wasn’t much of a curriculum, just an attempt to address each attendee’s challenge one-by-one or two-by-two during the time we had together. And while we don’t do these events anymore, this concept is never far from my mind. Getting the right people in the right room to talk about things we don’t often talk about when it comes to business—well, that’s the heart and soul of everything I do now. That small retreat blossomed into a whole new way of doing business for me and a whole new way of solving problems for our clients. My guest today has a similar story. Racheal Cook is the creator of Sweet Spot Strategy and the CEO Retreat. Today, the CEO Retreat is a key touchpoint of how Racheal works with her clients. But it didn’t start that way. In fact, you’ll even hear her admit that there was no “grand plan” behind her first experiment with a live event. She just had the urge to get the right people in a room together to work on their businesses. 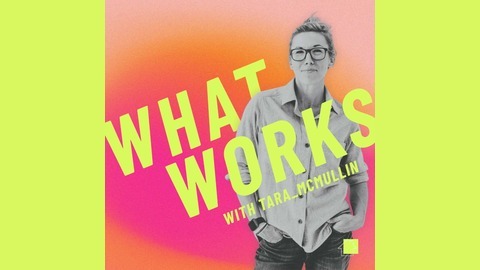 Racheal and I talk about how she came up with the idea of the CEO Retreat, how it solved a persistent problem for her clients, and what her greatest fear about hosting the event was. We also discovered how the idea has evolved and the role it plays in her business today. Hint: it’s big! Now, let’s find out what works for Racheal Cook! 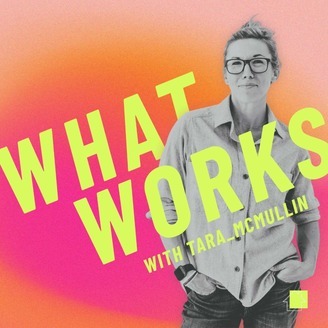 The post EP 199: Leveling Up Using A Simple One-Day Event With The CEO Retreat Creator Racheal Cook appeared first on What Works.